Home News What Are Some Of The Best Pet Flea Treatments? Find Here! The health risks associated with ticks and fleas are well known. Pet owners need to be cautious around the year, although infestation is more common in summers. Fleas and ticks are mostly found outdoors, but your pet can get these indoors too. Websites like petvetsonline.org have a lot of information on pet flea treatments, and in this post, we are discussing the best ones. Prevention is always better than cure when it comes to fleas and ticks, and tick/flea collars can keep these insects at bay. The collar has medication and works perfectly for as many as six to eight months. Note that tick and flea collars come in different sizes, so select one that works well for your pet. The collar can prevent ticks and will repel the fleas and ticks that are already on the body. Not all tick collars are water-resistant, so if your dog likes to swim, this is a good option. There are topical treatments available for pets, which treat and kill ticks and fleas. These must be used as a spot-on formula, which must be applied once each month. Such formulas start working within hours and keep away these insects for a month. The formula must be used from the neck to the back towards the tail in spots. The dog should not be able to lick the medicine formula. There are pet flea treatments available in form of chews. These chews contain a neurotoxin that paralyzes and kills fleas within an hour of consuming the chew. However, you may have to wait for as long as 24 hours to see the results. 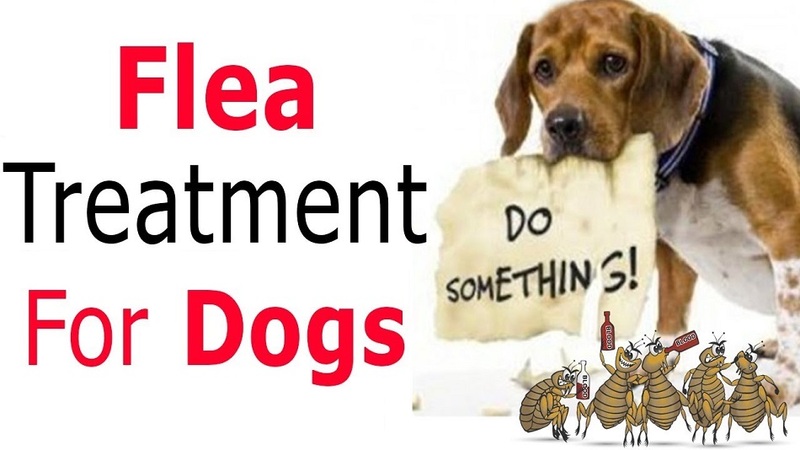 This is not a permanent solution to fleas but can be used to get rid of these tiny insects in case of an infestation. Make sure that you give the right dosage, which is based on the weight and age of your pet. Fleas and ticks can cause serious infections, and tick fever can be life-threatening. Little effort goes a long way in getting rid of such insects, and prevention always is a better idea, especially when you have a pet that always roams outdoors and is prone to activities. Check the paws and neck of your pet every time after it comes back from a walk. Do not self-treat an infection, until you speak to the vet about additional aspects like symptoms and current preventive steps.